Thanks to the Information Age, we’re all aware that smoking tobacco has negative effects on overall health. But what may not be as readily evident are the harmful effects of smoking on dental health. 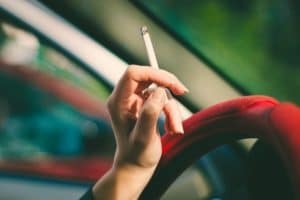 If you’re a smoker, our staff at Lifetime Family Dental in Gilbert, AZ understands how hard it is to quit, because the nicotine in cigarettes is highly addictive. Later in this post, we’ll recommend avenues for helping you quit. But for now, here is some incentive from the world of dentistry that just might convince you it’s time to take action. —Gum disease. WebMD writes that smoking “interferes with the normal function of gum tissue cells . . .” and makes you more susceptible to gum disease (periodontal disease). If gum disease goes unchecked, the infection can spread to other parts of the body via the bloodstream and impact the heart and other organs. —Slower healing. Since smoking inhibits the flow of blood to the gums, any wounds in the mouth will heal more slowly, including extraction sites and other dental repairs involving the gums or roots of your teeth. —Leukoplakia is a medical term for the white patches that can form in the mouth of a smoker. Mucus membranes in the mouth (usually on the roof of the mouth) become inflamed by the chemicals in cigarettes, and those white patches are the result. Though painless, in rare cases the patches can be pre-cancerous. —Bone loss. This study showed clearly that periodontal bone loss is linked to smoking. And bone loss weakens your jawbone, gums, roots, and teeth. —Oral cancer. Smoking causes an increased risk of oral cancer. Smoking cigarettes isn’t the only form of tobacco use that affects your mouth. Smokeless tobacco (chewing tobacco or snuff) can lead to cancer of the cheeks, gums, or inner lip area. Smoking can lead to cancer of the mouth or throat. And any tobacco product used on a regular basis can cause any or all of the above symptoms. The effects of smoking on dental health are pretty evident, but if you’re a smoker, you know this highly addictive habit isn’t easy to kick. Yet with help, it’s doable! There are cessation medications your doctor can prescribe to help you make the transition from tobacco to being nicotine-free. There are support groups to fortify your resolve. The American Lung Association has provided a starting place for those who desire to quit but need the resources to make it happen. Whether you smoke or not, our staff at Lifetime Family Dental in Gilbert, AZ, wants to come alongside and help your teeth be their healthiest. We’re here for you, to offer a lifetime of oral care that protects, strengthens, and beautifies.